Every year since 1977 UFO-Sweden has arranged a weekend field investigator seminar, educating and training both new and old ufologists from Sweden and Norway. This event is also a much appreciated social gathering. 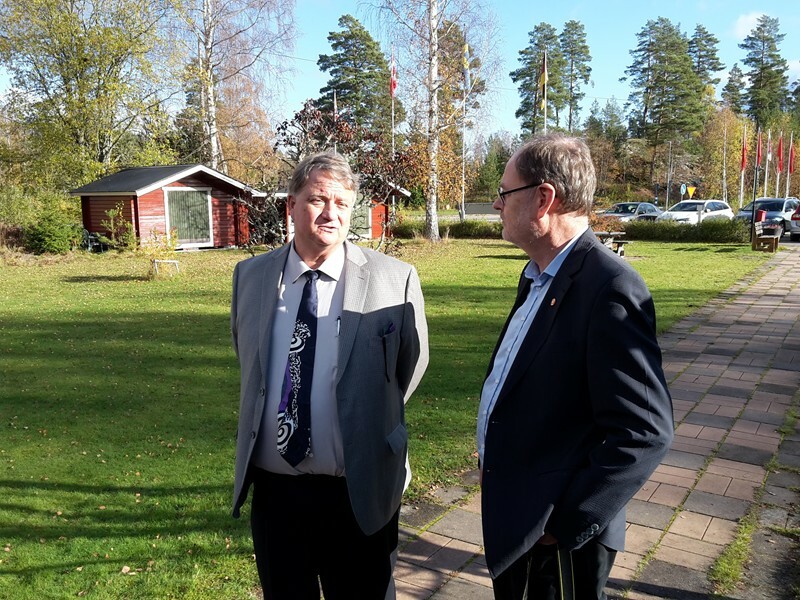 Since 2013 the seminar has been held at Föllingen Hotel near Kisa, in the middle of Sweden. 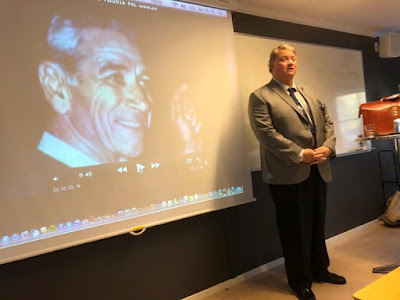 Every year a guest speaker is invited and on October 20, 2018 some 40 participants could listen to a lecture by Mr. Glenn Steckling, director of the George Adamski Foundation. Håkan Blomqvist (HB): Could you give some short background of yourself, birth, education, employment? Glenn Steckling (GS): My family has been involved with the subject since they were in Europé and the children growing up. 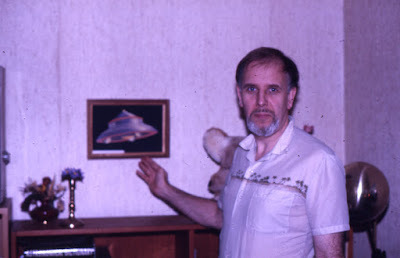 When my parents emigrated to the U.S. we had a number of sightings in Colorado Springs, Washington D.C. - I was born in 1959 – and over downtown Washington we saw one of these bell-shaped craft hovering and there were about 30 other witnesses. HB: You saw that too? GS: Yes, and there was a reporter from the Washington Daily News standing there with us so it was in the newspaper a couple of days later. My father who had witnessed these craft for so many decades went to the Library of Congress and came across Adamski´s books. The telescopic photos were exactly the same type of craft that we´ve seen. My father, in March 1963, wrote to Mr. George Adamski and in June Adamski was coming to Washington to lecture to the Air Force Reserves. We became close friends with George Adamski. We met some of his cosmic contacts and ended up inheriting his materials and after a few years the entire foundation. My father carried it on until his passing in 1991 and then it seemed to me as I had spent a lifetime in this field with observations, sightings and experiences it would be only natural to continue the work being the youngest and the last link to the actual occurences and that makes a big difference. HB: Do you have the archive at home? GS: Yes, I have a large storage in the house with vaults and safe where the archives is contained. 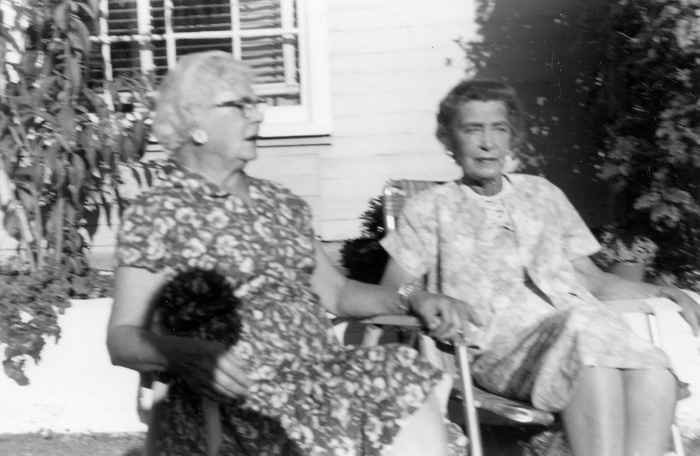 It includes the original negatives and also what has been collected over years from other people like May Morlet, Alice Wells. Actually we took care of Alice Wells for many years before she died. Every so often some work comes to us. HB: You met Adamski when you were rather young, any remembrances? GS: Oh yes, I was six years old. What happened was that when George came to Washington he stayed in Silver Springs and we all stayed with him. 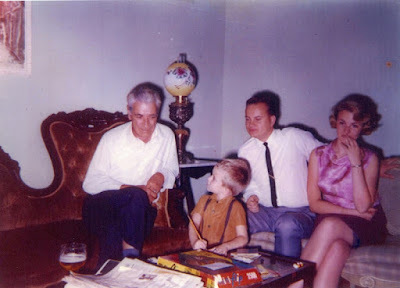 My parents and Mrs. Rodeffer would go out and make arrangements for television and radio shows so I spent much of my time with George in the house. There were several circumstances when his space contacts came to the house and made arrangements. I remember sitting with George in the dining room and these two space people came and sat at the table and he said to me sit here and listen and observe what is going on. They looked like anybody else, no any different and we have seen the same people since and the interesting thing is they don´t age very much. HB: Are you many board members at the Adamski Foundation? 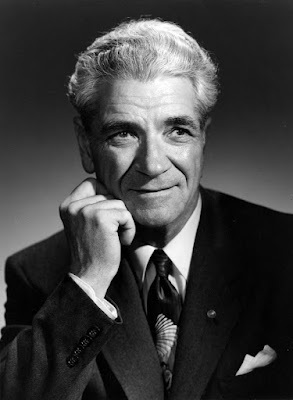 HB: What in your opinion is the strongest evidence that George Adamski told the truth? GS: There is so much it´s incredible. We have photographic evidence that have been authenticated. We have motion picture evidence that have been authenticated. 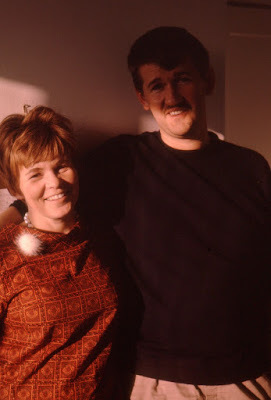 My father and mother were invited to NASA, the Pentagon and the British House of Lords. HB: We both know Rene Olsen. What do you think of his analysis of the Adamski photographs? GS: I think his analysis is very good and I have supplied him with a number of photographs in order for him to clean them up. Olsen did a very good work. HB: I remember Lucy McGinnis had a sighting herself when Adamski was not present and she saw a craft at very close distance? GS: Correct, on the Mount Palomar property where they used to live at the base of Mount Palomar there were a number of these craft and one of them landed. Not only Lucy McGinnis but a fellow by the name of Alan Tolman. He was a witness along with many running up the hill towards the craft. HB: What do you think about greys, abductions. What is behind all this. GS: In 1961 this field became divergent or went in separate directions. In 1961 after we had a flood of landings on this planet and the forces that control this world became very anxious. This was a psychological manipulation by the forces that use the politics of this world to keep people in a fearful state. The purpose of this type of rumor mongering is to keep the people fearful. All these craft carry a robot. The newer ships have no robots but androids. The androids only have four fingers and they can only do what they are programmed to do. Some of these sightings could be robots or androids. HB: We talked about the opposition but who are they really? GS: The opposition or what we call the silence group are individuals of this world and individuals of some others who are responsible for the geopolitical manipulation of the events of this planet. The real people who are manipulating what is going on in this world – there is a one world government a long time ago – there are no boundaries and no borders for them and the manipulation of the economy is done geopolitically through the aggravation of small regional conflicts, regional wars where billions and trillions of dollars are spent. So you have a very small nucleus, a group fo people, no one knows their names, no one will ever know their names but they are deep within the center of the core. HB: Do they have some type of craft? GS: People often see our own craft. The triangular are built here. Anything which has appendages, landing gears, struts, fins. These type of craft designs are manufactured here on this planet. HB: Could some of the contacts have been faked by the opposition? GS: We have set out our own people to scare our own people. It has been done not so much from the opposition although they are involved in that but they delegate to our own minor research and development. HB: You mentioned there were some negative space people, what are they doing? GS: Well they are very easy to identify. I´ll give you an example. Many people have heard of the individual called Valiant Thor. When Adamski died in April 1965 at the end of the year there was a knock at our door. My father opens it and there stands Valiant Thor. My father starts laughing. He says I know who you are. You are a misinformation agent from the government. You are not an extraterrestrial at all because I know the ones who are and you are not it. And Thor starts laughing and says yes you are absolutely right. My father said to him you will get absolutely no verification or justification here because we know who you are and you can just turn around and leave. And he did. So you have individuals who are assigned to go out and misinform. The other not so pleasant visitors they also are working some times for our government. We knew one from the CIA. He would come to the Silver Springs house when George passed away and he would come and to my father with a whole pocket full of cash. He says if you give up Adamski I will give you a million dollars right now tax free on any account you want. My father said it is never going to happen. These people are working with our own politicians and government, not necessary aware of them but they are working towards an agenda that is more, shall we say, conducive to what they like to have. We play along very easy because we are susceptible. Not many people would turn down a million dollars in 1965 or ten million now. They come to you and use you for your weaknesses. If you wish power they give you power It you want money or recognition they give it too. There is always a price you will have to pay. So you have to be very aware of who and what you are and the type of people that come. I have seen both groups. I know how to recognize them and my father pointed it out to me and we laughed about it. The opposition does not like to be recognized because they work very hard to be incognito. They don´t like you to know where they are coming from. When you know that you are not susceptible to their games. HB: Are they coming from a special planet? GS: They come from two planets in this solar system, where they like to play games. Let us be clear about something. They do not come to harm you physically or mentally. In other words they are not stupid. They are well aware of natural principles and the principle of karma. They are not stupid enough to be resposible for your actions. They want you to make the decisions so they play a game of chess with you, with your mind. Are you going to be weak or are you going to allow yourself to be played with or do you look at them and laugh and say it is not going to happen. You are only in danger by your own willingness to agree. They do not come and hypnotize you or work with your brain. They don´t have too. They have absolutely zero reason to come and abduct you. HB: Was it a long time since you met one of the brothers now? HB: Will they come back? GS: I have no idea. That is not for me to decide. HB: Adamski was not the only one contacted? What about Howard Menger, George Van Tassel? HB: Did he have a special passport? GS: I´ve heard that to, no it is amazing how many people throw out claims, Salla does that now. You don´t need a special passport to get on a military base. What you need is a military ID to get to a base. You don´t use a passport. He carried on him a White House pass that allowed him into the White House during the Kennedy administration. He briefed president Eisenhower and he met Eisenhower in 1958 in the desert in California at one of the Air Force bases where one of these craft landed and he introduced them. That story has been twisted as well, that in 1958 Eisenhower made a deal with the extraterrestrials that we would givet hem certain body parts. All this is garbage in order to completely confuse this whole thing. George carried a White House access card and that included a certain amount of security clearance but he was never on a military base by himself but always escorted with official people. HB: You wrote that he had been six years in Tibet. How could he get to Tibet which was a closed country? GS: That´s true. How do you think he got there? Who do you think took him? HB: Well, I guess I know what you imply? GS: George´s actual story is much more developed and intricate than the public part of it. It was supposed to start earlier but we were in the middle of war. It was decided in the fifties that he was given more information and come out publicly but his personal interaction started already when he was a child. HB: Was there someone together with him. GS: This particular school has nothing to do with Tibetan teachings. At that time there was a space base on the Tibetan plateau. Gordon Cooper took two pictures of space ships when he was orbiting Tibet and it was given to George. This particular space base in only by special invitation. HB: Did his parents know this? GS: Absolutely, his mother said take him and go. So he spent those years in Tibet in a school of mastery. He was not the only student there. HB: Will you write a book yourself? GS: I am in the process of doing that now. I have chosen the title Can Truth Prevail, and it is going to be the history of my family and myself, our activites and experiences. The more I work on it the more I add to it. Since my mother passed away I´d had a lot of work as far as consolidating the archive. Basically I have archives from Alice Wells, all the things that go back to the 1930s. I have a lot of reviewing and organizing to do. HB: One last question, did something special happen to George after 1961, when several co-workers left him? GS: No, Three people left. Lucy McGinnis, Carol Honey and Lou Zinsstag. The reason that Carol Honey left was that he tried to take the copyright from George Adamski. Honey tried to make a problem so George took a lawyer and I have all the paper work and confronted Honey with it before he died. In fact Honey´s archive came to me after he died. Honey and McGinnis had a little private, shall we say, personal thing going on. He encouraged her to take money out of the bank account and leave George. But she was always afterward sorry she did it. The only other one was Lou Zinsstag and George took her out because he felt he could not trust her and she was easily influenced by the opposition. In the annals of UFO history there are few issues that have created more debate, derision and enmity in the UFO community than the classic contactee cases of the 1950s. The situation is not very much different today. Few ufologists appear to be able to handle these cases with an open and investigating spirit. The believers believe too much and the skeptics dismiss empirical data without investigation. Finding weak points in the claims of the true believer is usually not very difficult but when dealing with complicated contactee cases it is equally important to be critical of the critic and skeptical of the skeptic. I learned this the hard way during my formative years in ufology. 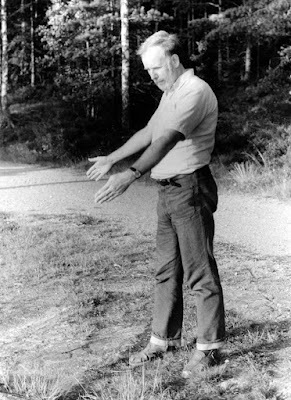 My first teacher or mentor in the strange and sometimes whacky underground world of the UFO movement was Swedish contactee Sten Lindgren. A gentle soul, mystic and idealist who told of both physical and telepathic contacts with the space brothers. 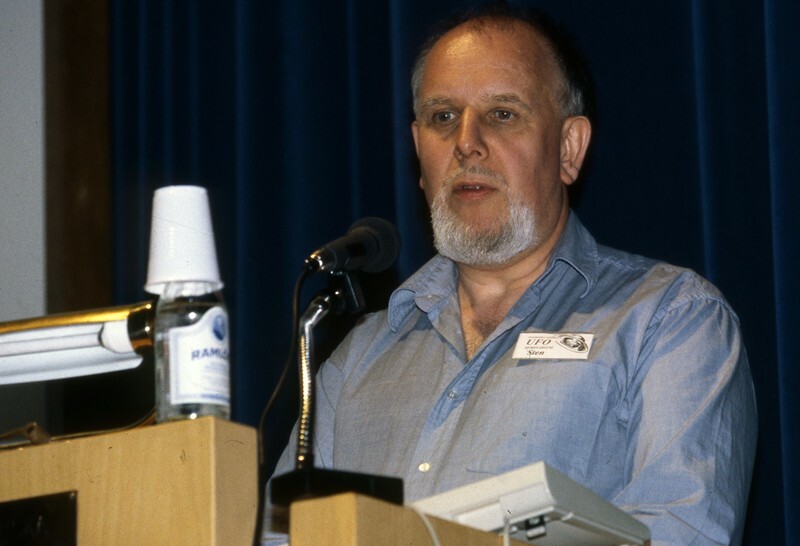 Being a naive teenager I was immensely fascinated by his claims and became a member of his group of eager students and activists, the Intergalactical Federation (IGF). But after a couple of years in this very special social milieu I began asking critical question which eventually led to the founding of AFU. 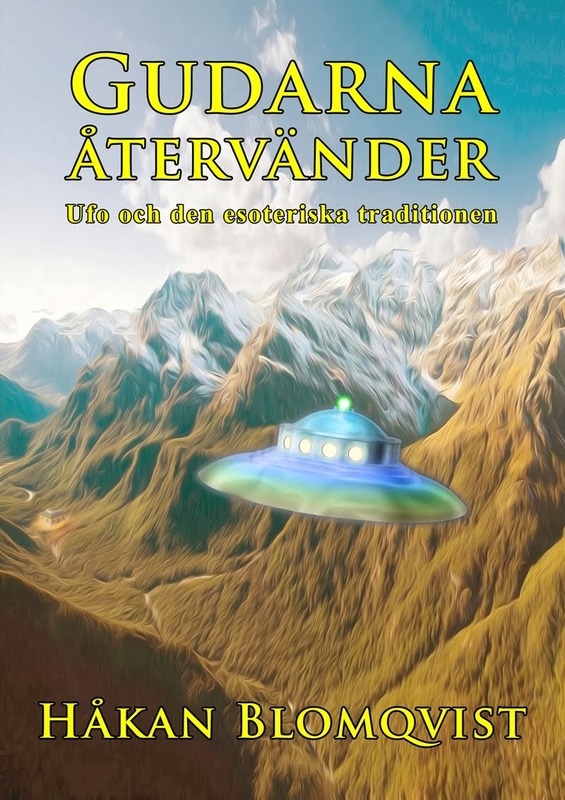 Still I was deeply interested in the many contact claims of Sten Lindgren and decided to gather as much data as possible to determine what was reality and fantasy in the world of Sweden´s most famous contactee. This endeavor proved to be a tricky problem as the core group around Sten were unwilling to talk. But I kept on turning every stone and after several years had quite an extensive file on IGF and its members. The central contact experience often mentioned by Sten Lindgren in lectures, books, articles, radio- and TV interviews happened 1965 at lake Nävsjön, south of Nyköping in central Sweden. During the Autumn of 1965 Sten and his close friend Christer Janson are offered to participate in a contact with space people by contactee Daniel Glantz. On a Saturday night in November 1965 Sten, Christer and a third friend Bertil a.k.a. Besic (real name known to me) travel by car from Stockholm to the home of Daniel Glantz and his wife Ingrid in Nyköping. Before leaving for the contact the group have a cup of tea and Christian are instructing them not to wear any metallic objects such as coins, watch etc. When the group has traveled a few Swedish miles south of Nyköping, entering a small dirt road, the car is stopped and Daniel turn the car headlights on and off a few times and then proceed further. Now Sten and Christer begin experiencing a strange sensation as if faint electrical currents are playing on their heads, like an electric hairnet. 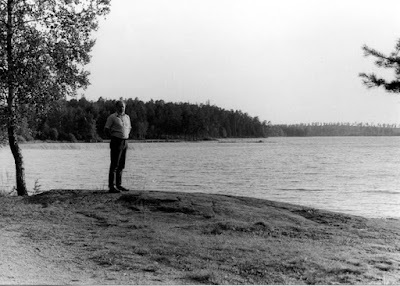 According to Sten Lindgren this is what happened next: Around 9.30 p.m. Daniel find a parking spot close to the small lake called Nävsjön and the group leave the car. From a distance of around 50 meters Sten observe a landed bell-shaped saucer. There are also two craft hovering a few hundred meters above the lake. From the left side of the landed saucer comes a man dressed in ski-type uniform with a wide belt. He looks like a normal human being and have long hair. Daniel signal three times with a flashlight and the man takes something from his belt signalling back. This light stop in mid air at various distances. The man start walking towards the group and Daniel, Bertil and Ingrid go to meet him. Sten and Christer are told to stay where they are and just watch. Sten can hear the group talk for about five minutes. Bertil is carrying a brown envelope that he hand over to the man. The group return, enter the car and take of. After travelling a short distance Daniel stop and everybody leave the car. The night sky is starlit and Sten observe another saucer coming slowly gliding above the trees. When Sten and Christer look up they get a visionary experience as if the stars are much closer, a sort of zooming effect and they can see many more stars than is normal. It was like a consciousness expansion. After this observation the group return to Nyköping where Sten, Christer and Bertil continue their journey to Stockholm. Beginning in the 1980s some of the witnesses had begun to open up regarding the incident, giving more and more details of what had happened. I had also began corresponding with Daniel Glantz who claimed there was a genuine contact although I found many of his letters rather far out and deeply religious. 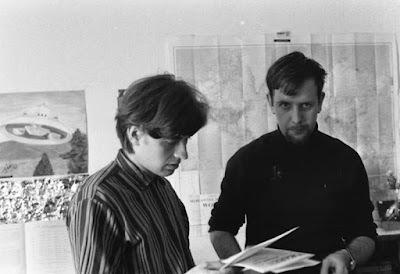 In 1985 I finally persuaded Sten and Daniel to be interviewed before writing an article on the case. On August 15 I visited Nävsjön in the company of Sten Lindgren followed by an in-depth interview on August 26. 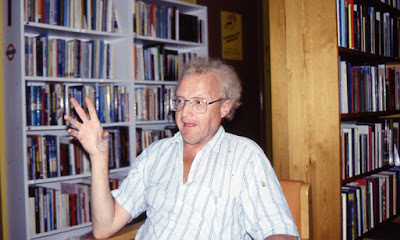 I also interviewed Daniel Glantz at his home in Nyköping on August 24, 1985. During a dinner in November 1985 with the witness Bertil he confirmed to me that he was the one that had carried the envelope during the contact but he insisted on anonymity. By this time I deemed the case so well documented that I wrote an article for the Swedish magazine Sökaren, published in late 1985 (no 9). 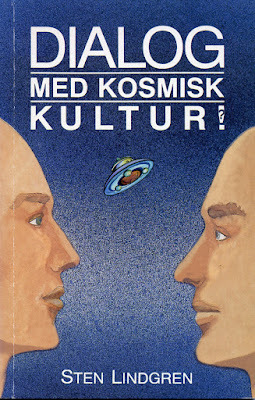 I called the article ”En svensk Adamskikontakt” (A Swedish Adamski-type contact) and presented it as a possibly genuine contact with benevolent alien visitors. But there were still many questions unanswered. How come that none of the witnesses could remember the exact date of the incident, not even the correct month. Both September and November was mentioned. I was also rather dubious of a statement made in a letter from Daniel, indicating a connection with the U.S. Air Force. 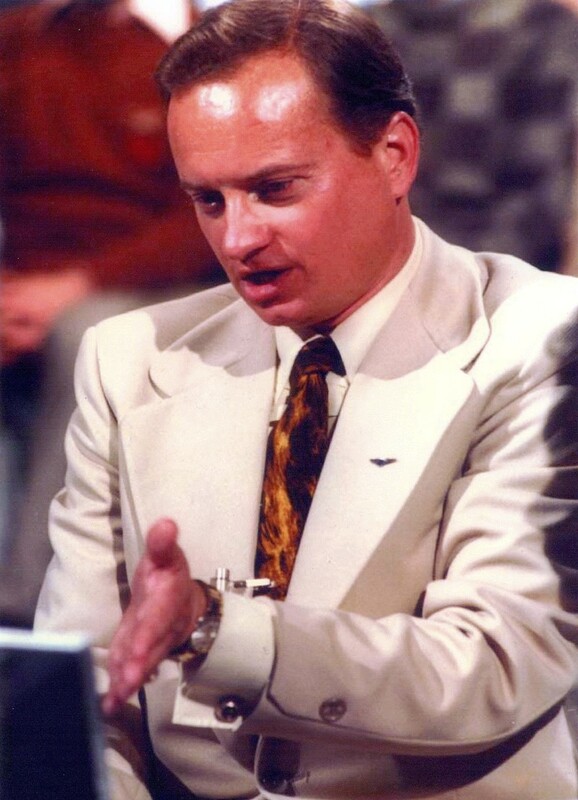 In a phone conversation with Sten Lindgren June 17, 1985 he, to my great surprise, speculated that the whole incident could have been staged or a bluff arranged by Daniel using a model or balloon. 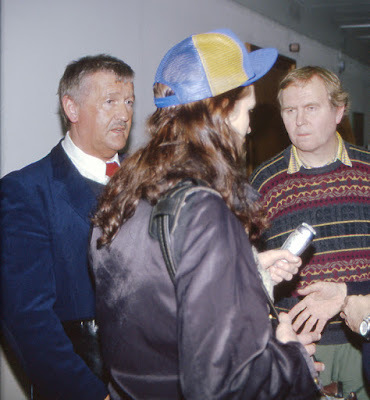 In the Summer of 1986 I finally succeeded in getting interviews with Bertil and Christer Jansson. Bertil was according to Sten a key person in the contact as he had handed over the envelope to the spaceman. When I asked about the content of the envelope Bertil said he had a black-out during the incident and couldn´t remember but that he often carried pen and paper and in a sort of calligraphy wrote and made drawings as a hobby. ”It is possible that this so called strange envelope contained some of these drawings but I am not sure… It is also possible that I dropped the envelope, I don´t know.” Bertil was adamant that it did not contain any secret message to some spaceman. Bertil remember seeing a light in the forest but has no memory of a saucer. His recollections of the incident are very hazy. He does remember that they stopped once more to try telepathic contact but he did not see any saucer coming close as told by Sten. To get more facts about the contact combined with field investigation I travelled with Daniel Glantz to Nävsjön on October 11, 1986. He told of three earlier meetings with a spaceman at this place. But what really made me dubious was his claim that the spacepeople had helped him win on the racetrack to get money for travelling to United States and Bahamas in 1971. He was given five digits for the next Swedish Åby galopp and won 50,000 SEK. That space people should visit this planet to help a man win on the racetrack wasn´t exactly credible. After this meeting I told Daniel I would contact his former wife Ingrid to hear her version of the Nävsjön contact. But Daniel dissuaded me from contacting his former wife because she was now dying from cancer, bone tumor. I wrote a letter to Ingrid and mentioned that Daniel had told me of her disease and offered help because my father was a nature therapist. Ingrid called me on the phone October 29, 1986 and this conversation became for me the heureka moment in the whole investigation. When I asked of her physical illness she didn´t understand what I meant as she felt fine. After mentioning what Daniel had told me of her cancer Ingrid exclaimed ”Oh, not that too”. And then I was given a completely different story of the Nävsjön contact and what had transpired during their marriage. Håkan: This incident which you witnessed in 1965, did you see the craft? Ingrid: No, absolutely not. I am so astonished that these people have seen something. Håkan: Didn´t you notice a man coming out then? Ingrid: No, absolutely not. I was there all the time and I can clearly state there was no man coming out. Håkan: Ok, that is strange. Ingrid: Yes, I find it strange too. Håkan: But you were a group standing together? Ingrid: Yes, but there was no man. I must be honest… as far as I know Daniel has never told me he saw a man there. Håkan: But didn´t Daniel tell you of his own experiences? Ingrid: Daniel has not met anyone. Håkan: So what is this all about? Ingrid: I believe there are psychological factors behind this. Håkan: Do you think it is a conscious fake? Ingrid: No, it can be unconscious wishful thinking. When you say we saw something in the forest I wonder if it could have been someone with a flashlight. The light was like coming from a flashlight. There is a lake there and people are fishing all the time. Ingrid revealed the during their marriage the couple had lived a sort of ”Sunday-hippie life” using drugs like hash and LSD. She wanted desperately to get away from this life and turned for help to a local Christian church. 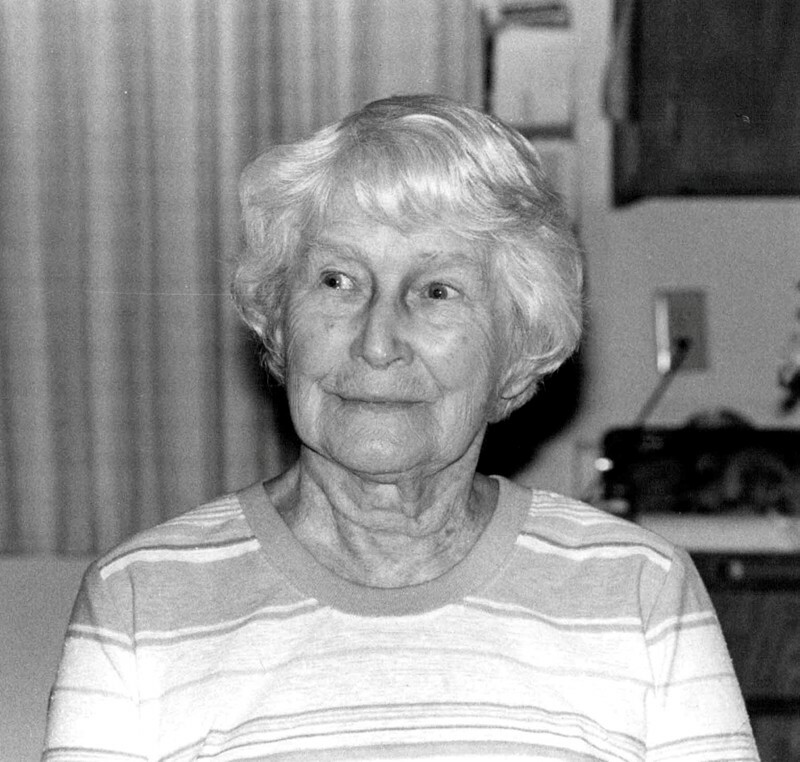 After having been saved by a life with Christ she regarded everything to do with UFOs as evil. My investigation of the Nävsjön incident now turned in new directions. 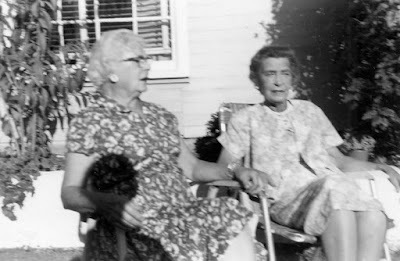 Ingrid had provided several names of people who were part of their group of friends in the 1960s. A group that often met to discuss UFOs, paranormal phenomena, mysticism etc. But they were also experimenting with drugs of various types. Could this be confirmed by other members or was Ingrid simply exaggerating to discredit her former husband? 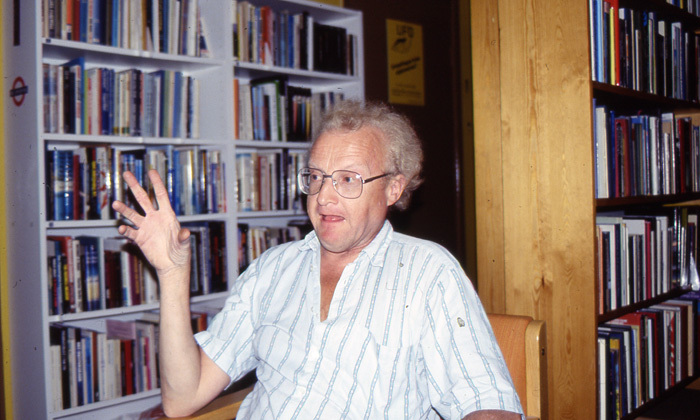 Two of the group members were Matts-Gösta Jonsson and Birgitta Holmberg. When I interviewed them they confirmed what Ingrid had stated. The group had experimented with drugs also using Mescaline, a psychedelic alkaloid with hallucinogenic effects. They bought Mescaline cactus at Östgöta trädgårdshall, a local gardener´s supply. They never heard Daniel relate any meetings with space people and regard these stories as fantasies. I later received confirmation of Daniel´s drug use from two more witnesses, Monica Ahnkvist and Yngve Freij. Daniel used to smuggle drugs in cookies from Denmark, according to Monica. Yngve Freij claimed to have tried LSD three times together with Daniel but he didn´t believe his UFO stories. 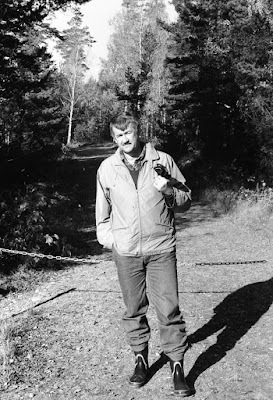 With these confirmations the most likely explanation for the Nävsjön incident is that Daniel, without mentioning this to the other witnesses, put some Mescaline or LSD in the tea before going to the contact with the ”spaceman”. This would explain the strange mind expansion effects attested by Sten Lindgren, Bertil and Christer Janson. In spite of all this information Sten continued to relate the Nävsjön incident as a real contact on TV, interviews and in the book he wrote in 1997, Dialog med Kosmisk Kultur (Dialogue With A Cosmic Culture). Perhaps he really honestly believe to have witnessed this contact, not realizing the influence of drugs. I have never been able to confirm any of the many claims of contacts and UFO observations by Sten Lindgren. There are a few cases of lights observed by others together with Sten but only of a vague nature. 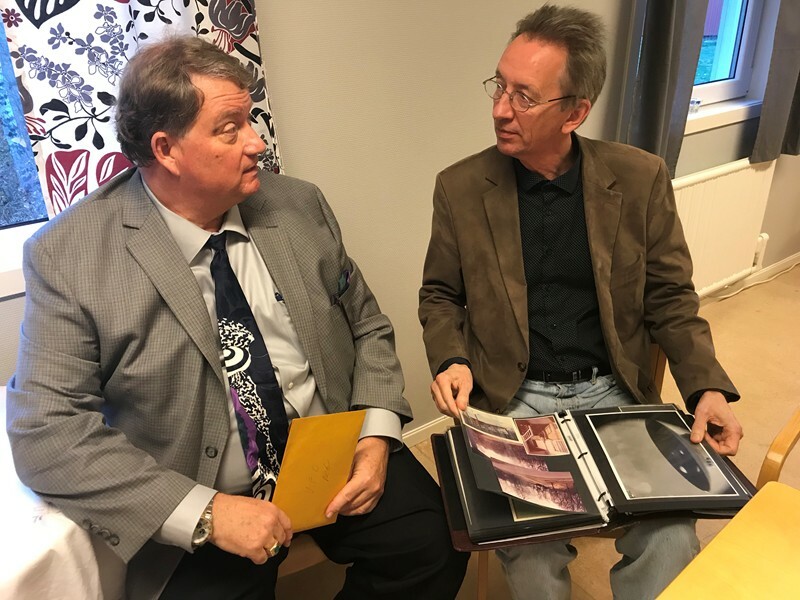 Investigating the Sten Lindgren case was for me a profound learning experience and taught me many lessons. Sten has always been a gentle mystic, a good will idealist and I am grateful for having known him although his stories may be more fantasy than reality. This story is a very good illustration of the importance of in-depth research, turning every possible stone, always checking sources again and again. It is also an illustration of the need to be honest with your own data, theories and convictions. This is why I value researchers, whether skeptics or believers, who after years of field investigation and published writings have, in a public debate, the guts to stand up and say – Well, I may be wrong. George Adamski - Is the Tide Turning? 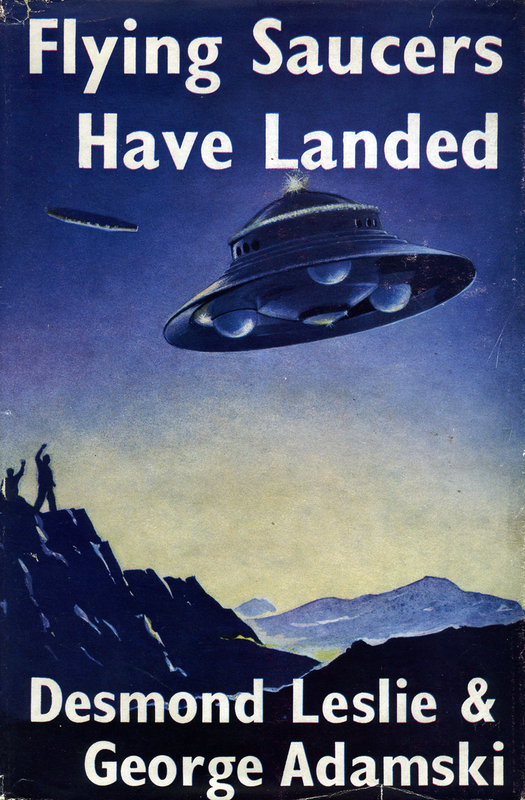 One of the most influential books in UFO history is Flying Saucers Have Landed by Desmond Leslie and George Adamski. Published in 1953, it has been referred to as ”the book that was dynamite”. And the dynamite was George Adamski´s report of meeting a spaceman in the California desert on November 20, 1952 and a return visit of the craft December 13. In support of these encounters were several photos and affidavits from six witnesses. Since the 1950s there has been an endless pro-and-con debate regarding the veracity of this first contact claim and the close-up photos taken by Adamski. One of the researchers convinced of the authenticity of George Adamski´s 1952 contact is Michel Zirger, born in France but since twenty-four years living in Japan. In two former books The Incredible Life of George Hunt Williamson (co-authored with Maurizio Martinelli), 2016, and ”We Are Here!” Visitors Without A Passport, 2017 the author have presented much new data on Adamski and Williamson. 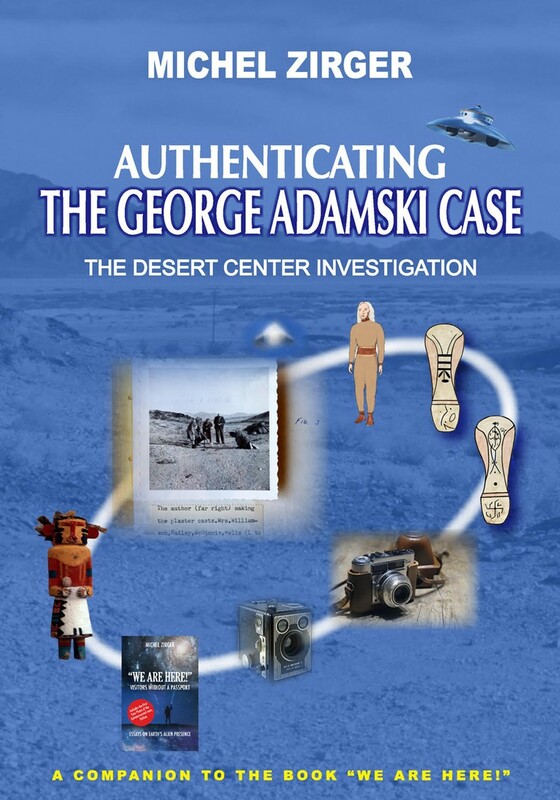 Now we have Zirger´s third book, Authenticating the George Adamski Case. The Desert Center Investigation. A companion to the book "We Are Here! ", 150 pages with more than 70 photos and illustrations, nearly all in color. 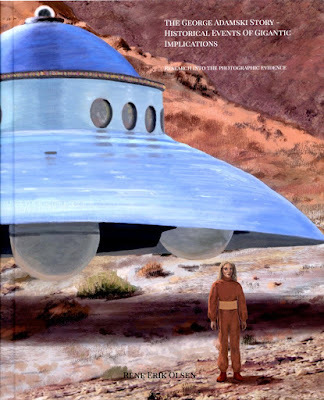 This is a detailed and extensive study of the empirical evidence indicating that, as the late French ufologist Franck Boitte wrote: ”… there is in the George Adamski saga much more than meets the eye”. Zirger´s book, in a very concrete way, show that this is an actual fact revealed by a digital enhancement and analysis of the Adamski photographs. In the first two chapters Michel Zirger presents biographical data of his background and life in France. A passion for books included everything ”from Mallarmé to Adamski”. When the UFO interest began he devoured all the aviable literature in French. 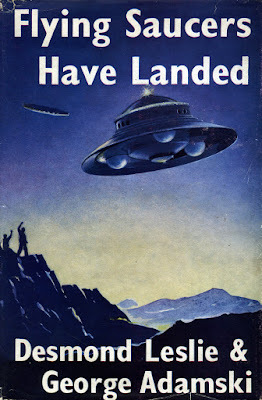 The book that made the greatest impact was the French edition of Flying Saucers Have Landed: ”A Magical reading experience I have never gotten tired of. Even today, I still consult this old red and gold Jái Lu edition”. Here I find a kindred spirit. 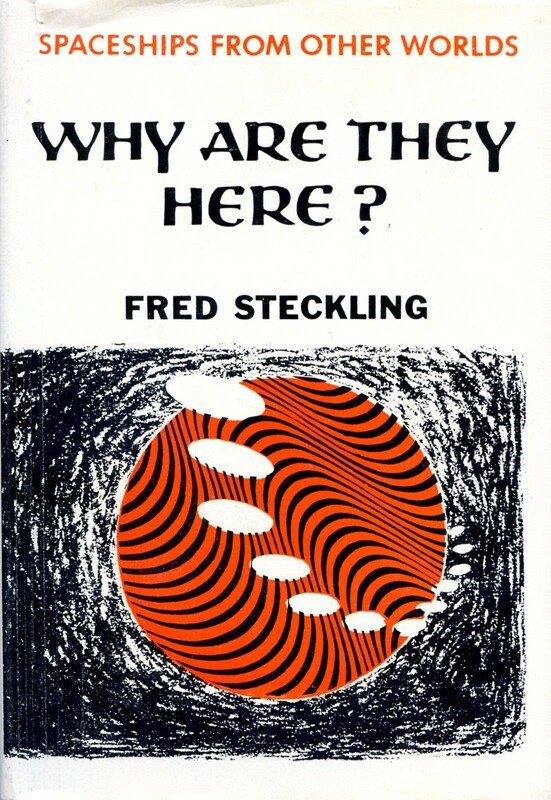 Of all the UFO books I´ve read during my life this classic remains the all time favourite. Desmond Leslie´s pioneering study of UFO phenomena, including George Adamski, in the light of the Esoteric Tradition is a path I have followed in my own, somewhat heretical, research and writings. Except literature there were two other decisive factors in the life of Michel Zirger that finally led to the writing of his books on George Hunt Williamson and George Adamski. 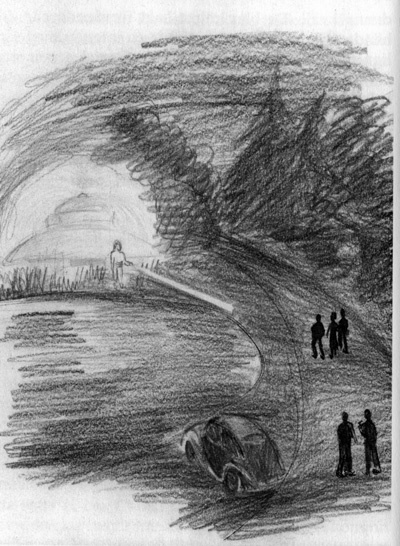 As a young boy of thirteen his mother revealed to him that she had, in July 1964, observed a classic flying saucer with a cupola and strongly lit windows, that stopped hovering very close to her, around 45 meters. Of even greater significance was Zirger´s three observations and telepathic contact with ”aliens” in public places not far from central Tokyo. There were witnesses to these encounters, which he described in ”We Are Here!”. In the remaining sixteen chapters Zirger presents a detailed analysis and documentation of what happened on November 20 and December 13, 1952: witnesses, photographs, original newspaper articles and later comments by Adamski, Williamson and other participants during the early years of the 1950s. A major breakthrough in Zirger´s research was when he became acquainted with Danish photographer and painter Rene Erik Olsen. In 2017 Olsen made digital enhancements of some of the Adamski photographs and discovered amazing details that even Adamski himself was obviously not aware of, showing the large cigar-shaped spacecraft and what appears to be the spaceman himself. 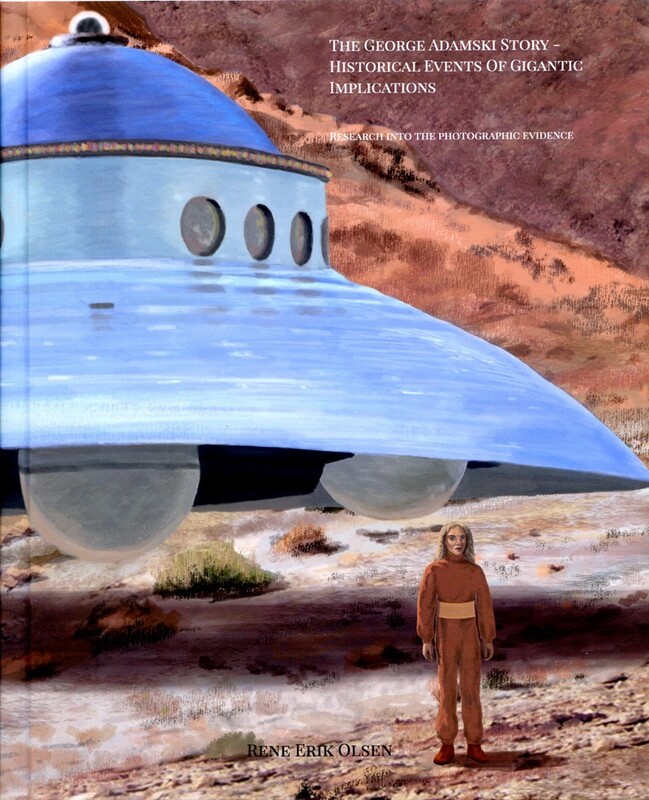 Olsen has also published his findings in The George AdamskiStory – Historic Events of Gigantic Implications. If Glenn Steckling, director of the Adamski Foundation, will allow a similar digital enhancement and analysis of at least one of the original negatives and the Olsen findings can be confirmed it could implicate a major revolution in UFO research and a renewed interest in the early 1950s contactees. In spite of the extensive study made by Michel Zirger there are a few details or mysteries not addressed in the book. When the group had stopped in the desert and observed the cigar-shaped craft, why did Adamski insist on leaving the group and walk alone to a spot around 500 meters from the others? For a group deciding for skywatching in the desert it would be more reasonable to stick together in one place. Could Adamski somehow (telepathically) been informed that a physical contact was planned without mentioning this to his friends? In letters to Emma Martinelli, written before the 1952 contact, Adamski reveal some very interesting facts regarding his first "science fiction" book Pioneers of Space, published in 1949. 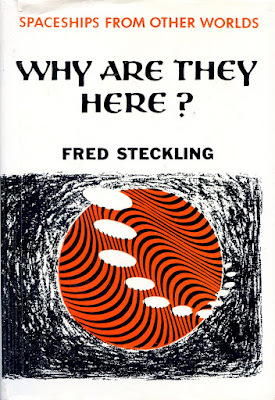 "... speaking of visitors from other planets, you see, in the physical I have not contacted any of them, but since you have read Pioneers of Space you can see how I get my information about these people and their homelands." (January 16, 1952). In an earlier letter he wrote: "In this letter I have explained, using illustrations, how one may venture from one place to another, while his physical is one place and he is in another. That is the way I have written this book. I actually have gone to the places I speak of; I actually have talked to the ones I speak of. To you I can reveal this since your letter reveals much, while to others I keep silent about this." (August 16, 1950). Another very intersting aspect of the 1952 contact not further elaborated in this volume by Zirger are the many low-flying aircraft observed during Adamski´s meeting with the spaceman. He does mention though that ”a strategic bomber and two jets of the U.S. Air Force allegedly over-flew the zone of contact several times during the events” and that George Hunt Williamson later asserted that ”the Air Force did observe the landing from above and took pictures of it.” (p. 59). 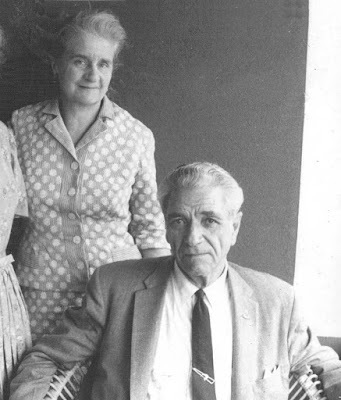 In his former book ”We Are Here!” (p. 250) Zirger documented a statement by George Adamski during a lecture at Caxton Hall, London on April 28, 1959. About one month after the desert contact a captain in the U.S. Air Force visited Palomar Gardens asking for pictures of the footprints and the plate with the famous writing from another planet, received by Adamski on December 13, 1952. When the Air Force captain returned he had made 10 x 12 enlargements for Adamski. But he also left his business card with the message ”Did you focus your telescope on me?”, implying that he was one of the pilots who had watched the contact from his plane. Adamski always kept this business card i his wallet. There is a confirmation of this claim made by contactee George Van Tassel in his publication Proceedings: ”I was personally informed by an officer in Air Force Intelligence that George Adamski´s contact was filmed by Air Force personnel aboard one of the airplanes orbiting over the craft Adamski made contact with”. (Proceedings, vol. 5, no. 1, October 1956, p. 13) These statements, if true, would of course have tremendous implications. Some intelligence group within the U.S. have photographic evidence that the Adamski contact was authentic. This could be the key to understanding why he had a passport with special privileges (U.S. Government Ordnance Department Card) and later was invited to the Pope, Queen Juliana of Holland and perhaps also other political and military leaders, who had been informed that Adamski was a sort of go-between or courier for a group of alien visitors. ”My heart is a graveyard of secrets”, he once told his Swiss co-worker Lou Zinsstag. 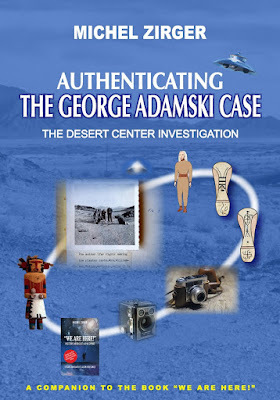 Authenticating the George Adamski Story is an important contribution to our understanding of this first contact claim. 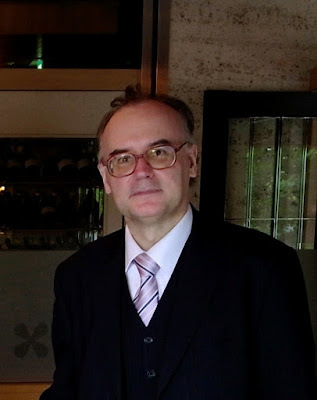 Michel Zirger is to be commended for his excellent research and documentation. For those who wish to delve deeper into the Adamski enigma there are nine pages of notes and references, including a select bibliography. With all the renewed interest from several researchers and additional and rather unique data perhaps the tide is turning in favor of George Adamski? It would change ufology for ever.